Here are a very few, random feedbacks and emails excerpts from customers from all over the world. Rude comments unsurprisingly come from non-customers real-complainers and won't be retold here. Everyone's pretty much very happy with what we do, and that's what keeps us going. Both packages arrived yesterday in perfect condition. I got the books early last week - Tuesday afternoon maybe? Very quick, thanks. Just a quick note to let you know that [the book] arrived safely and super-fast. Thank you. Book received in perfect condition. Juste pour vous dire que j'ai bien reçu mon livre, je vous remercie. @ bientôt peut être qui sait pour d'autres achats. The book has just arrived, and is exquisite. Thanks for your wonderful service. the book arrived today in perfect condition. Thank you for careful packing. Le colis est bien arrivé en Suisse, et le livre est en parfait état. Merci pour la rapidité et l’excellente qualité de l’emballage. Je viens de recevoir le livre ce matin. C'est très bien protégé. Le livre n'a subi aucun dommage durant le transport. Il ne me reste plus qu'à apprendre le japonais pour déchiffrer les textes et légendes de ces magnifiques photos. 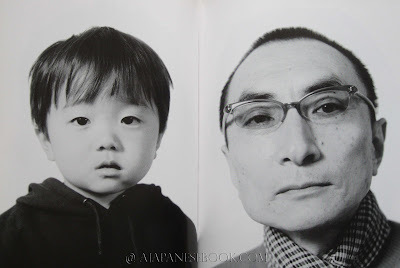 I'm just writing to thank you and to let you know that I already have the beautiful Nakaji Book in my hands. Fast shipping and perfect copy. Both parcels arrived in perfect state during the last days. Especially the Seto Inland Sea is spectacular. I had already seen a lot of it's content but to page through this book and be marvelled by one extraodinary image after the other is simply stunning. Thank you very much for this perfect transaction! I am still pondering over a new order and will make sure I will be in time before your end of november deadline. Just received the book and it's great. Thanks. Un petit mail juste pour vous informer que je viens de recevoir mon paquet japonais et suis ravie ! どもうありがとがざいます and have a great day! The parcel arrived before I had chance to reply to this email! A beautiful set, the first I have ever seen or heard of it! As you may have gathered,I am a great fan of Japanese photography, and having successfully used your site, will. I am sure be back for more. A great selection. Thanks so much and maybe till soon. I was beyond impressed by both the care and packaging of the book. Wonderful care and curating of your passion. This mail comes a little late as I received the package almost a week ago! Your site is without a doubt the best information source available for Japanese books and all my compliments for the standard of quality you offer. Hi Nick, the book arrived, beautifully protected and packed. Even more of a pleasure was the stamps on the box which I have kept. I miss Japan very much (as we had a short period in Tokyo) and so the stamps make me wistful. Just to say that the book arrived safely today – very impressed with prompt service! Sincere thanks & a pleasure to do business. Je viens de reçevoir le livre que j’avais commandé en état parfait ce matin. Votre service a été très professional et rapide. Un client très heureux et vraiment ravi d’avoir fait l’achat chez vous.